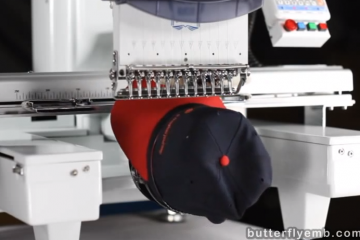 This video covers setting the hook timing on a Butterfly commercial embroidery machine. This operation ideally should only be done when all needles are checked for proper needle depth (and damaged/used needles), and only then the hook checked to see if the hook is off from all of them equally. When the hook is dead-on, and all 12 needles are dead-on (again, good condition needles), then it is very hard to get a thread break and it takes very little thread to catch properly after thread trims. 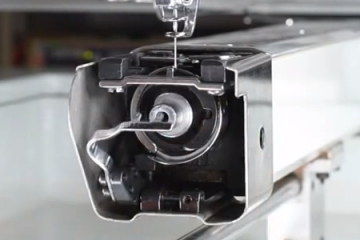 Hook timing is usually thrown off when a “birds nest” is allowed to gather in the bobbin area, and the spinning hook snags this mess and jams hard while spinning at a fast speed (600+ rpm). The hook assembly will then be forcefully rotated off of its place on the shaft. If bobbin is allowed to run out, a lot of thread will get jammed underneath fast also. Machines that have been run hard a long time will also drift. Don’t forget to clean and oil the hook every four hours (the black runner part)! 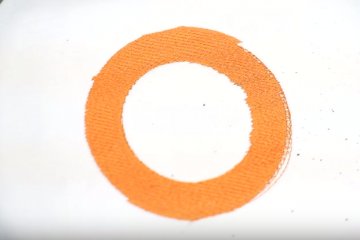 Don’t let any thread pieces sit on it! Something I forgot to mention is the “nose” of the metal bar on the left, which is holding the hook in place as the hook rotates. The nose should be centered on the needle, and have a 1mm border of empty space, or an equal size border, between the nose and the black hook part that holds the nose. Please watch the needle depth video before attempting any hook timing!